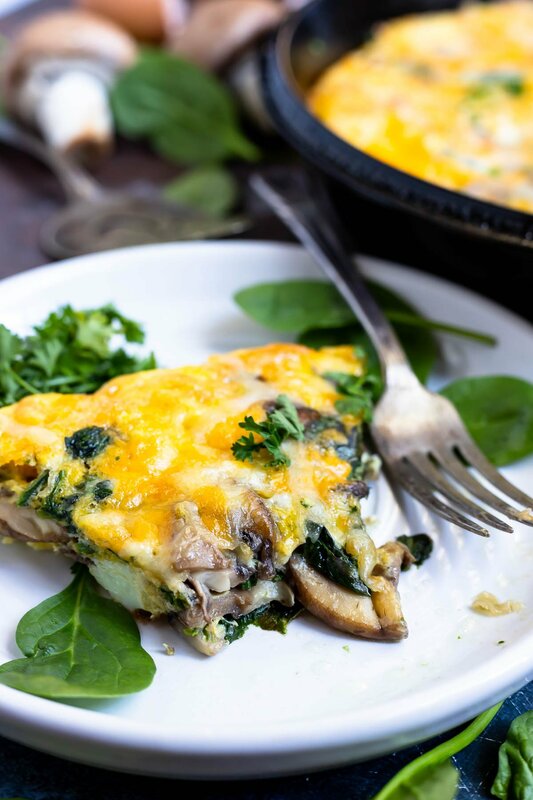 This Mushroom Spinach Frittata Recipe is perfect for a weekend brunch, a healthy breakfast or for a meatless Monday dinner idea. 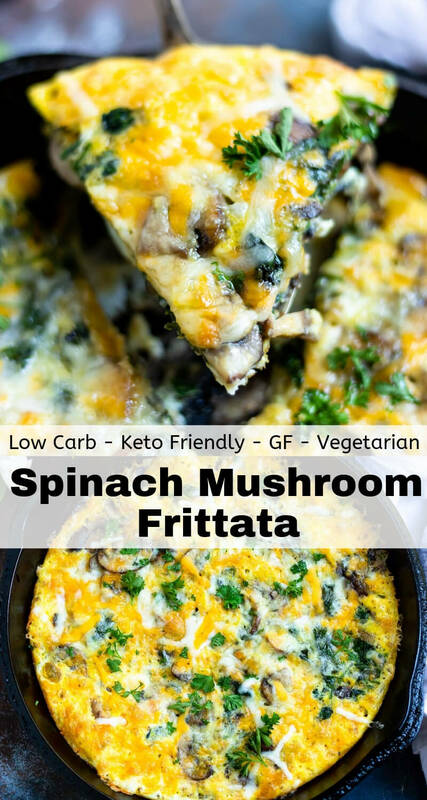 Frittatas are quick, easy, nutritious, low carb and keto friendly. 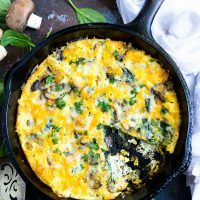 This frittata is also gluten free, grain free and vegetarian. Step 1: Sauté mushrooms and spinach, set aside. Mix eggs and cheese then add to pan. Return mushrooms and spinach. 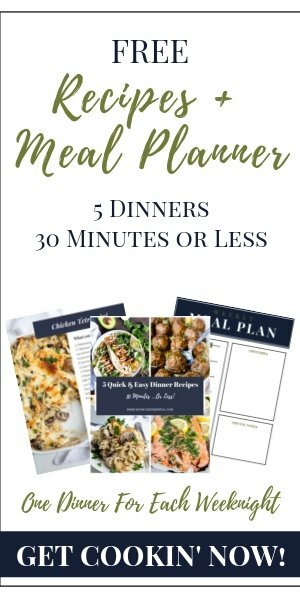 Cook 3-4 minutes. Step 2: Top with additional cheese. Bake at 400ºF for 5 minutes then broil on high for 2 minutes. Allow to cool 5-10 minutes before serving. 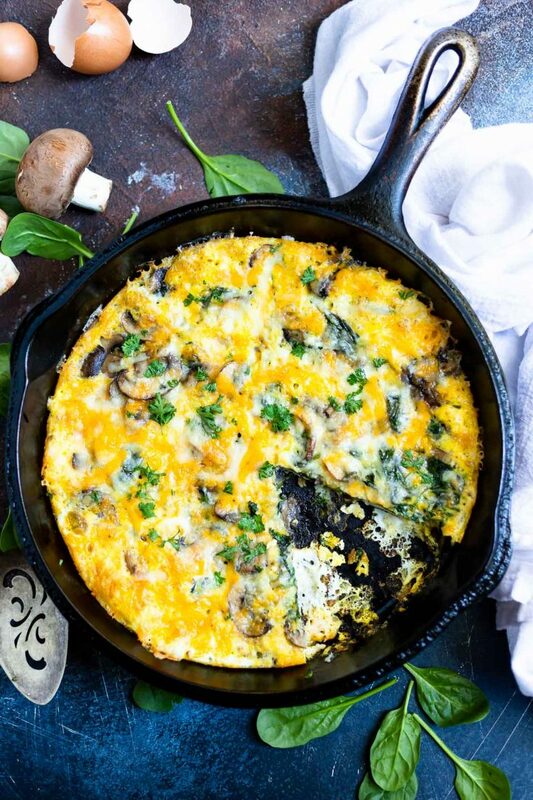 Frittatas are made with eggs and whatever veggies or cheeses you want to add. Some recipes call for milk, this recipe does not. Quiches are made with heavy cream and have more of a custard texture. There is also a pie crust involved in making quiche, unless you go for a crustless quiche option. So, frittatas don’t have heavy cream or a crust. If you want a Keto Friendly Breakfast for a sweet tooth, try these Low Carb Pancakes. Heat 3 Tbs oil in 10 inch cast iron (or oven safe) skillet over medium/high heat. Add the sliced mushrooms and sauté until almost tender. Add the baby spinach and sauté 1 more minute. Remove mushrooms and spinach from pan, set aside. Reduce heat to medium. Mix eggs, 1/2 cup cheese, salt and pepper. Add 1 Tbs oil to pan, coating the bottom and sides. Pour egg mixture into pan. 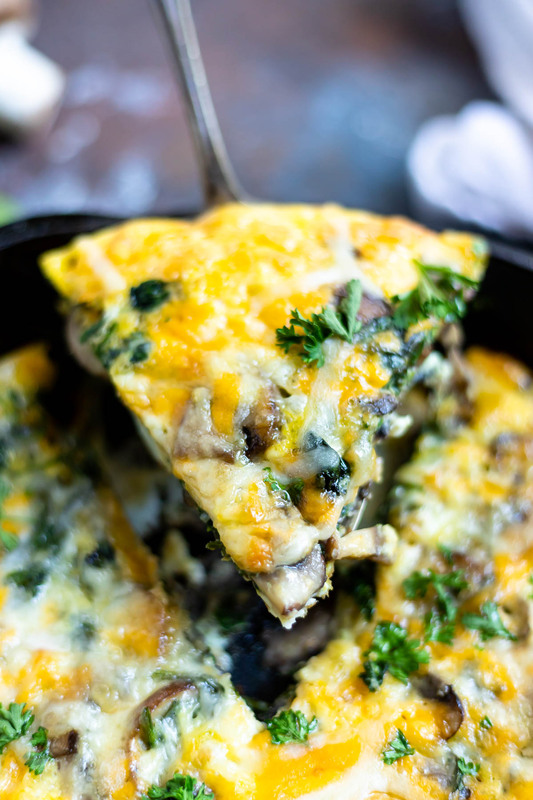 Add the mushrooms and spinach on top of eggs in an even layer. Cook on the stovetop for 3-4 minutes or until sides begin to set. Top with remaining cheese then transfer to oven. Bake 4-5 minutes or until middle is almost set. Then broil on high for 2 minutes until top is light golden brown. Remove from oven (don't forget your oven mitt!) Allow frittata to cool 5-10 minutes before slicing and serving. Sprinkle with freshly chopped parsley and salt/pepper to taste.